Consuming fish is an essential aspect of a heart-healthy diet, due, in part, to its content of beneficial oils. However, not everyone enjoys eating fish, and many find it challenging to fit enough fish into their diet. The good news is that you can take a fish oil supplement, such as salmon oil, and reap some of the same benefits as you would if you ate fish weekly. Along with its well-known benefits for cardiovascular health, including curbing inflammation and slowing the development of plaque buildup, according to WebMD, here are three other health benefits you can gain by including salmon oil in your diet. Your brain is comprised of nearly 60 percent fat, with much of that being omega-3 fatty acids. This means that omega-3 fatty acids are essential for normal brain function. So studies have suggested that people with certain mental disorders, like ADHD, have lower levels of omega-3 in their blood. Research suggests that by consuming fish oil supplements, you can prevent the onset of certain mental conditions, and improve the symptoms associated with many psychiatric disorders. Also, adding a fish oil supplement in high doses to your diet might reduce some of the more severe symptoms of bipolar disorder and schizophrenia, according to a report released by the US National Library of Medicine. When you have a body mass index that is greater than 30, you are considered obese. Unfortunately, 13 percent of the world’s population is deemed to be obese, while 39 percent are overweight. Being obese can significantly increase your risk of developing other diseases like cancer, heart disease, and diabetes. Taking a daily fish oil supplement might help you improve your body composition and reduce the risks of developing heart disease in those who are obese. It has also been shown that taking a fish oil supplement, in combination with improving your diet and exercising, can help you lose weight. As the government and food health advisory boards are encouraging more people to consume fish as a healthy diet, the farmed salmon industry will continue to grow to meet demand. Inflammation is your immune system’s way to fight of infection and treat injuries to your body. However, more and more people are dealing with chronic inflammation, which is associated with severe medical conditions like depression, heart disease, obesity, and diabetes. When you can effectively reduce the inflammation in your body, you can help treat some of the symptoms associated with these diseases. 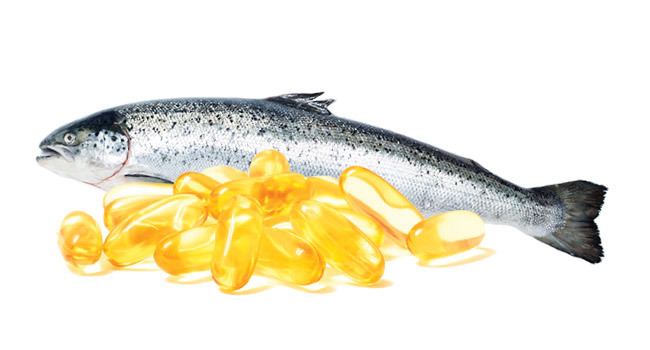 With its anti-inflammatory properties, consuming salmon oil regularly can help to treat many of these conditions that involve chronic inflammation. Also, taking fish oil supplements can significantly reduce joint stiffness and pain, and reduce the amount of medication those who have rheumatoid arthritis have to take. Salmon oil and other fish oils that contain omega-3 fatty acids are incredibly healthful and should be a part of your regular diet. If you aren’t able to eat one to two servings of fish a week, then you should be taking a fish oil supplement to gain the many excellent benefits and improve your health.